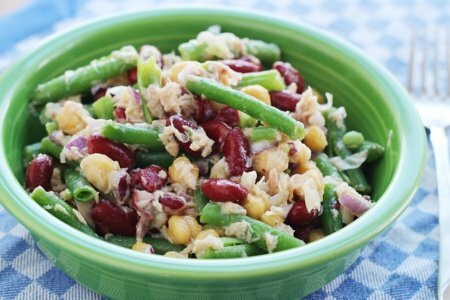 Tuna and bean salad is one for your fridge when you are looking to snack. This salad will keep for a week and gets better with time. The lemon flavor seeps in and all the flavors meld when it hangs out in the fridge. Of course, you can overdo it (and the recipe ferments – ugh). 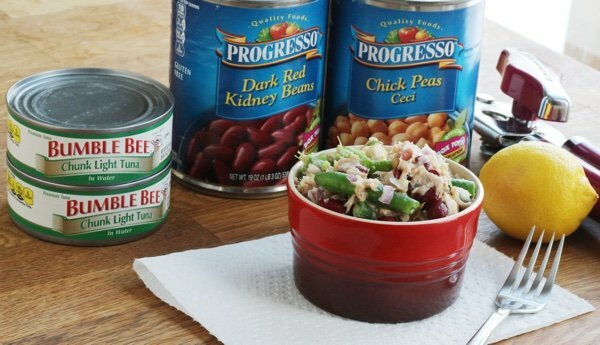 Canned food is a very helpful for quick salads. My chickpea salad recipe relies on canned chickpeas and my low carb tuna melt is made with canned tuna. I always have a stash of tuna and beans ready to go for when I run out of fresh food and am low on time to go to the market. I simply rinse the two cans of beans and drain the tuna. I buy fresh green beans because I like them to be crunchy and quickly blanch them either in the microwave or on the stove. 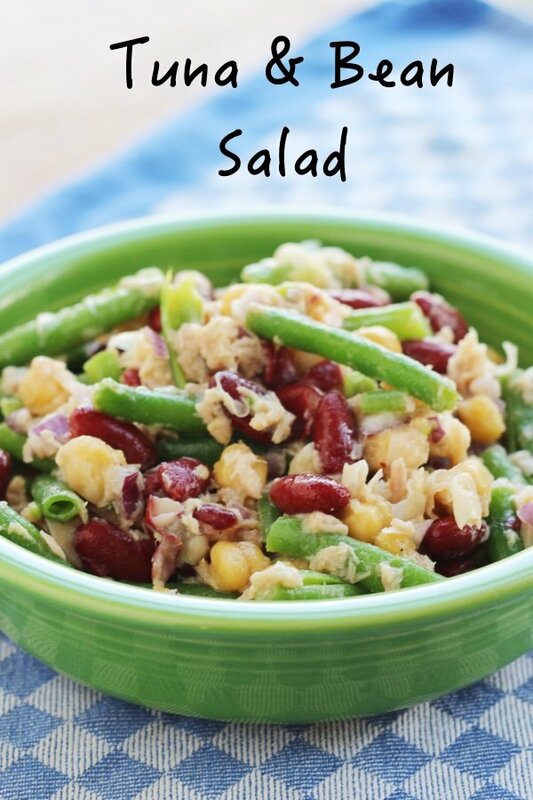 I wouldn’t use frozen beans because I think they would be too mushy for this salad. I chop up half and onion, juice a lemon, add some olive oil - and I’m done. FAST! Aren’t these colors great this time of year when everything is so black and white? Since Weight Watchers Freestyle made tuna and beans ZERO, this salad is very low in points. I love how beans are now free because they are so good for you. They provide a plant-based protein and fiber to help you feel full without a ton of calories and they are cheap. You can add beans to all sorts of recipes including soups and stews to make them more hearty but also add portions when you are low on dough. One of my favorite cab driver conversations was about how this particular man liked to cook for his apartment block. He would use rice, a little chicken, and a lot of beans to feed all his neighbors. He seemed like such a sweet guy (and a very good cook). Do you mix tuna and beans? What do you come up with? Blanch green beans on stove-top or in microwave (usually takes about 3 minutes. Cut green beans into 1-inch pieces. 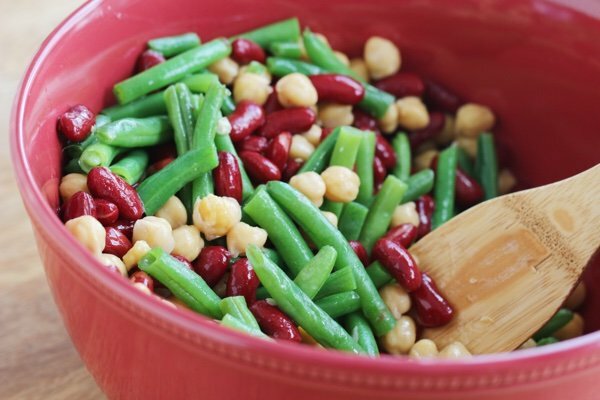 Add green beans, kidney beans, tuna, onion, lemon juice, and olive oil to a bowl and mix. Taste to adjust salt and pepper and serve. This salad will store well your in refrigerator (and even improve) for about 4 days. When I got up this morning I was trying to think of what to make for my work lunches for the next two or three days. I think this is it! I just need to find some fresh green beans when I go to the store later this morning. Thanks for the inspiration! Thanks for a great idea, Lisa! Making this ASAP. Can't wait to try this. A nice change up for lunch. In Texas, we need heat in our food. I added some chopped fresh jalapeños and cilantro; we pretty much do that with everything. Then I took the jar of sliced jalapeños and poured in a bit of the juice. (This is a fat free jazz-up for baked potatoes, too.) And...shazzam! I drive all the time so I have to figure out a way to eat this in the car. Great salad! Thank you!